The story that has changed the lives of millions Now it can change yours! Network marketing is a burgeoning field, and it can be a frustrating and difficult experience. There are many who have achieved minimal success, and many more who have made no money at all. With these discouraging figures, how can one become a member of the successful elite? Millions agree that the best way to do this is to spend some time with The Greatest Networker in the World. John Milton Fogg’s extended parable is the story of a young man on the verge of quitting the multilevel marketing business. 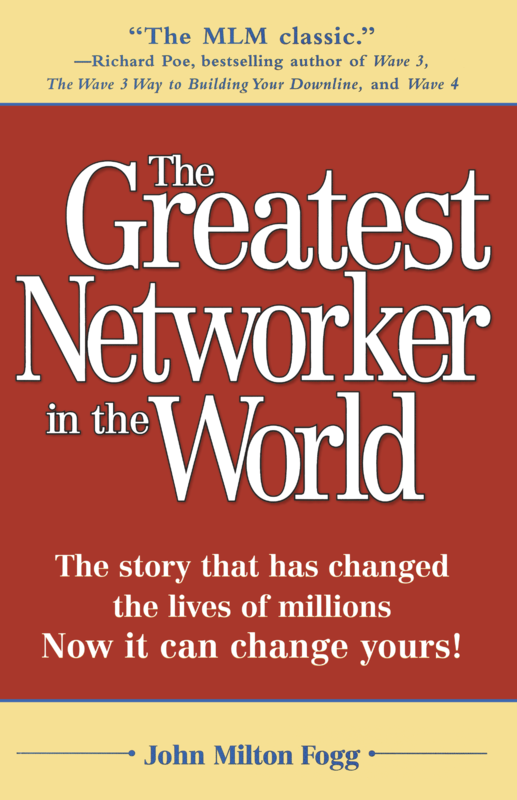 As he prepares to give his final opportunity meeting, he meets the individual everyone refers to as The Greatest Networker in the World. This warm and wise man takes in his young counterpart and shows him the trade secrets so he too can become a successful network marketer. The young man soon learns that the trade secrets have very little to do with conventional marketing techniques. In fact, he has to unlearn everything he thought he knew about business. "The paradigm of network marketing is so fundamentally different and distinct from all other paradigms of business, that it requires a pretty complete shift from the way we normally view business to appreciate and understand it." The new paradigm is built around one’s habits of thought and discovering that the secrets to network marketing success are within oneself. The values of responsibility, team building, and caring for one’s downline play a much more important role than competitive promotion and advertising. A critical skill for all marketers is the ability to teach people to teach others. Once one has mastered the new paradigm of multilevel marketing, he needs to not only show his downline how to master it, but also how to teach those techniques to others. This leads to greater leadership within the organization, more stability, improved productivity, and as a result, long-lasting success. 14: What's Your Next Step?